The West Coast’s premier epicurean lifestyle event, Pebble Beach Food & Wine returns for a 12th year this spring with four days of culinary decadence, April 11-14. Coinciding with Pebble Beach Resorts’ year-long centennial celebration, the 2019 event is pulling out all the stops as 100 of the world’s top celebrity chefs and 250 acclaimed wineries come together on the spectacular central California coastline. Event-goers will enjoy rare access to the very pinnacle of talent in the food and wine world—from upstarts and rising stars to James Beard and Michelin-star award winners— at a series of wine tastings, cooking demos, and some of the most exclusive and original dining experiences in the world. 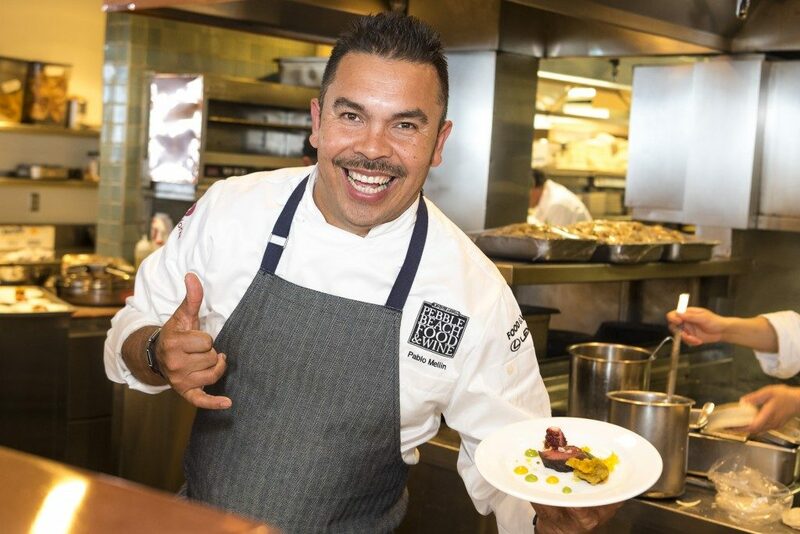 · A Celebrity Chef & Winemaker Golf Tournament at Pebble Beach Golf Links. This exclusive opportunity to share a bucket-list golf experience with the top masters of food and wine is priced at $1,000 per ticket. Players compete for 18 holes of Team Scramble tournament play, fueled by food, wine and beverage stations strategically placed along the course. · An exclusive, aptly named Decadence Dinner with Chef Alain Passard of the three-Michelin-starred L’Arpège in Paris, whose high-risk gamble to embrace an all-vegetarian menu paid off in spades and was documented in Netflix’s Chef’s Table docuseries. · Aviary Live from Pebble Beach—a chance to meet the “den of chefs” behind what is widely considered the world’s best bar as they tell the story behind the creation of the bar and their new, groundbreaking Aviary Cocktail Book. · Two events with culinary legend Jeremiah Tower—a Fireside Chat complete with champagne, bites, and storytelling by “The Father of California Cuisine,” and a Power Lunch at Casa Palmero with Chef Tower and his proteges Mark Gaier and Clark Frasier of Maine’s critically acclaimed MC Perkins Cove. · Wonder Women in the Kitchen—a Power Lunch with some of the nation’s gutsiest female chefs who have survived the trenches to rise to top of their industry: Tanya Holland of Oakland’s Brown Sugar Kitchen; Top Chef Masters Alumni Elizabeth Falkner; Antonia Lofaso of L.A.’s white-hot DAMA, Scopa Italian Roots and Black Market Liquor Bar; and pastry chef Kelsey Larson from Bernardus Lodge in Carmel Valley. · Two Gone Fishin events with Iron Chef Masaharu Morimoto. In the first, the global restaurateur demonstrates the proper way to butcher a whole tuna. In the second, He joins top seafood chefs Ryan Caldwell, Ravin Patel, Michael Ginor, and Alvin Cailan to vie for bragging rights as the “best fisherman” at the four-day fest. · Ridge Monte Bello Wine Seminar. This epic event features five decades of one of the world’s most legendary wine producers. Led by winemaker Eric Baugher, guests will have a once-in-a-lifetime chance to sample vintages dating back to 1975 as well a barrel tasting of the unreleased 2017 vintage. · Steakhouse Feels: Big Cabs & Big Slabs. Festival-goers will live large at this strolling “beachside steak-out,” which will pair the world’s best masters of the grill and BBQ with a martini bar, whiskey on the rocks, big red wines, and a caviar station. · Dining with The Michelin Stars. This over-the-top dinner will blend the talents of out-of-this-world chefs into one kitchen. Michelin starred culinary greats, including Peter Armellino, Rogelio Garcia, Janina O’Leary and Rupert and Carrie Blease, will serve up a memorable meal at this one-of-a-kind event. This entry was posted in Get Out - Food and Wine Experiences and tagged pebble beach food and wine festival. Bookmark the permalink.